Digital businesses are often not prepared for digital transformation. Instead of a flexible framework of networked teams that work on transforming key business processes, they’re organized within silos around traditional functions. While adoption of new technologies has been the focus of many digital transformation efforts, this has been like forcing a square peg into a round hole without first doing some organizational redesign. Dimension Data’s Technology Trends 2019 report explores seven key areas of focus for companies, with digital business playing a critical role. B2B digital trading platforms are touted to be one of the biggest growth areas in 2019. CEO of SAP Bill McDermott predicts a world where customers connect directly into your supply chain and it’s hard not to agree with him. The advantages are too exciting to ignore, both in terms of customer experience and operational efficiency. Your business clients will be more confident about ordering from you if you can show them current stock levels as well as the expected date of replenishment. You can optimize your inventory and production if they can give you better data on their future demand, it just makes sense. Future integration will go even further. 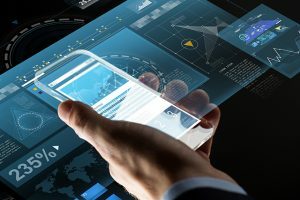 We’ll see integration with CRM systems featuring artificial intelligence and robotic process automation beyond today’s supply chain collaboration linked to ERP, allowing consumers to reach right back to your supplier’s inventory through their mobile apps. That’s truly digital business. Diversity versus Talent: Who’s Winning?